Advertising is part of nearly every mobile experience, and whether or not you personally approve of it, it’s becoming standard for most mobile games. After all, it’s a billion dollar industry. And if you’re going to do it, you should do it well. Ads should be well-placed, high quality, and in just the right amounts in order to make sure your users and your finances are both pleased. Let’s start by going through some general categories of games along with the types of ads commonly used in mobile games, and then we’ll cover the guidelines or thought process that should govern all of your ad deployments and executions. But first, let’s clarify the difference between how ads are perceived in a freemium model versus free to play games. Of course, nearly all games involve some kind of advertising, whether you are using a freemium model (in which case most or even all of the advertising might be pointing to some kind of upgrade for the game that they are playing in the first place) or a free to play (F2P) game that involves all kinds of carefully designed and planned targeted ads (among many other elements). That said, users accept the appearance of ads differently in a freemium versus an F2P model. 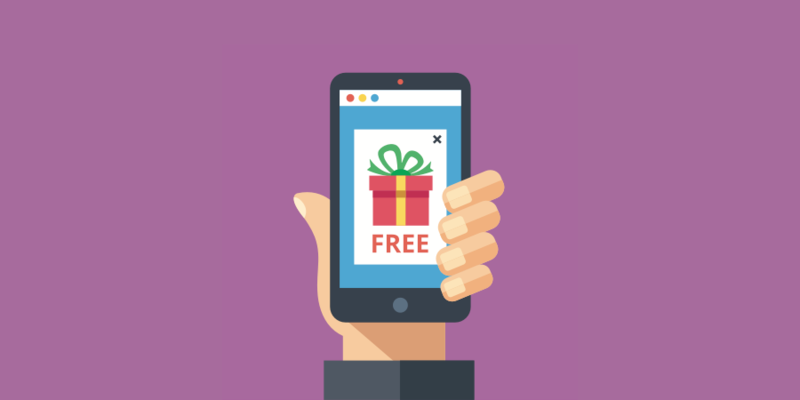 For instance, in the free version of a Freemium game, users disliking the intrusion of ads may lead them to upgrade sooner so they can experience game play minus the ads. On the other hand, F2P games with excessive ads or ads that result in a negative experience are likely to be dropped and uninstalled, even the player likes the concept or style. After all, there’s always another F2P game around the corner. There are two main categories of in-game ads, static versus dynamic. Static ads are similar to product placement and are implemented during the development and can’t be updated in real time, while dynamic ads are the billboards and banners placed throughout the game. Dynamic ads echo the benefits of the online display advertising we all see nearly everywhere on the web, like CPM-based pricing models, geo-targeting, demographic targeting, and more. So it’s not surprising that they are regularly used through the mobile gaming world. Not only are they flexible, easy to update, and popular with brands and advertisers, your users are more likely to see them. The Dynamic ad category includes banners of all shapes and size, interstitials, expandable ads, and more, and it’s probably what you are most likely to use in your own game and see in the games you play yourself. Static ads are slightly less common, since they are essentially built into the game. 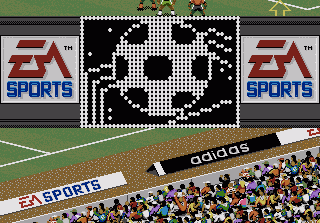 “Billboards” in sports are a common example, like this Adidas billboard in a FIFA game. 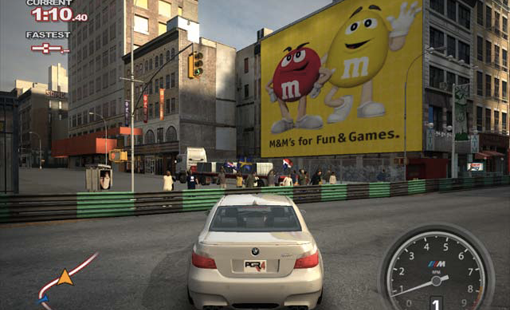 Or billboards in games in general, like this M&Ms billboard in a popular racing game. These static ads mimic the look and feel of real life advertising in the context of the game, and can be very effective since they are contextually placed in a way that is similar to how we experience ads in real life in the form of billboards and similar signage. 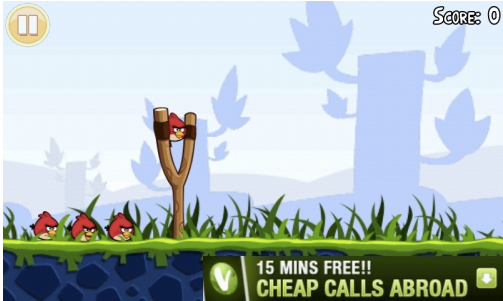 Interstitial ads perform best on games that are broken in different levels, according to manyexperts, since there is a natural break as players work their way through the game’s levels. This is because interstitials between levels take advantage of natural pauses in gameplay and don’t interrupt the overall user experience. For advertisers, interstitials offer a larger, full screen experience that can be made more visually compelling with animated and interactive rich media content, and generally yield high impressions, high conversions, and offer a good memorization rate. However, a quality interstitial does require more design work and some of its high click-through-rate could be the result of users not being able to close the ad and tapping or swiping in an attempt to shut if off, which won’t necessarily make advertisers happy since that isn’t the kind of positive engagement that leads to results or sales lift. 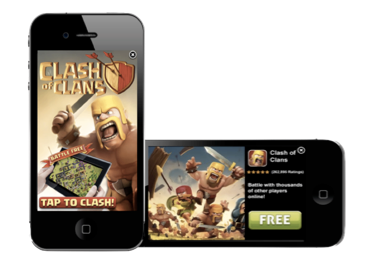 So interstitials are best when deployed wisely during natural breaks or pauses in gameplay, and ideally have a designer who understands mobile gaming in general – on better yet, your game in particular – working on the creative. 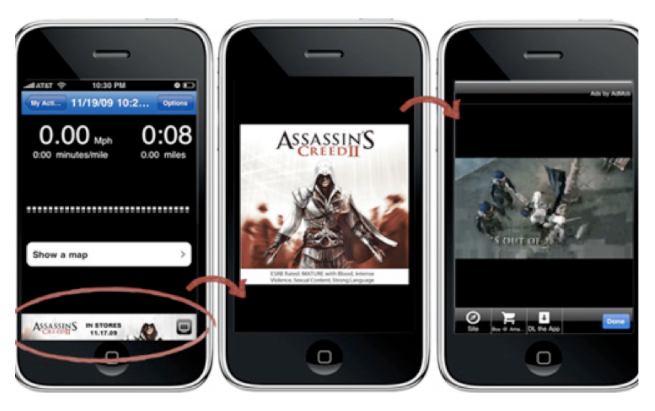 Absent that, customize your ad selections and only place interstitials between levels or similar pauses in the action. These are one of the most common formats of in-game ads, in part because they are the most unobtrusive options (in most instances). They are similar to the banner ads we all know and love, but placed in a way that they appear to be part of the overall flow of the game, so they don’t interrupt the experience. However, it’s also possible that they do interrupt the action by overlaying a crucial spot, which is why they should be placed discreetly in the corners of the screen where the action isn’t is important. The transparent overlay as shown in the example is crucial as well, as it keeps the ad apparent but unobtrusive. These are some of the most common types of ads in mobile apps in general, but it can be difficult to work them into a game in a natural way. One of the best examples of contextual advertising is how Starbucks got worked in Pokemon Go. 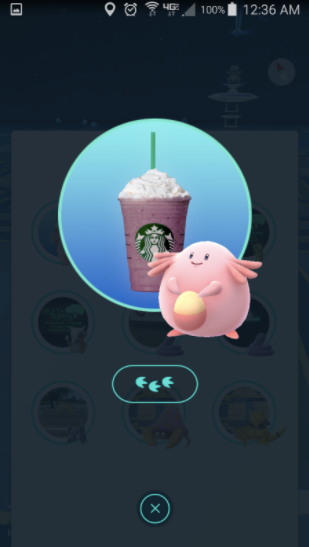 The local Starbucks are associated with refueling stations, so users pick up loot alongside an image of a Frappuccino – it’s unobtrusive but easily recognizable, and also points out the physical locations of Starbucks nearby, which can be helpful as a Pokemon ‘Go-er’ navigates through the real world while playing the game. Similar contextual ads can work even if your game isn’t grounded in the real world; perhaps different kinds of loot or player outfits can be sponsored by different brands, for just one example. One way to make ads less obtrusive or perhaps even desirable is to allow users to choose a reward for viewing them – more loot, coins, points, or whatever other in-game currency is applicable. This tends to have a high view rate but can be costlier from a developer’s perspective since you’re giving away freebies in order to get views. In general, offering players any form of bonus or help in exchange for interacting with an ad tends to result in a decent level of engagement and clicks; however, there’s always the question of whether or not the player is retaining anything from that interaction other than their new loot. That said, ads served as a reward do get eyeballs in front of them, so that might be more than enough depending on the KPIs you’ve established with your advertising clients or network. These don’t tend to be anyone’s favorite in terms of the player experience, but really does anyone genuinely enjoy the ads (who doesn’t work in the advertising industry)? 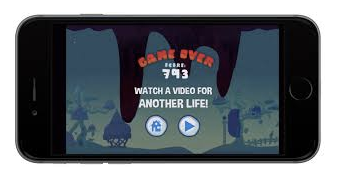 That’s because they can and do interrupt the game play by taking over the screen when the user taps on them – which is often easy to do accidentally depending on how the expandable ads are placed in your game. However, they do offer an immersive experience that can be quite successful if the ads are selected and deployed wisely. For instance, in the example below the ad is clearly expandable, and that makes it clear to the user if they choose to watch the trailer the ad will take over their screen. Generally, users will be okay with ads that are clearly marked as such and warn them before interrupting their game play; the issue is when an ad “tricks” them into expanding or even kicks them out of the game when it expands (don’t send users out of your game without supplying a warning first, of course). Most of the time, expandable ads work when a player swipes over or taps a banner ad, which then takes over the screen. They tend to be popular with brands and advertisers because of the creative potential that’s inherent in getting that much screen real estate, but obviously less popular with users because who likes getting interrupted because of an unwanted ad? After all, for every user who actually wants to expand the ad, there are others who simply “fat finger” or accidentally swipe on an ad and have it take over their screen unexpectedly. Players will likely forgive you once in awhile – especially if they really enjoy the rest of the experience – but they’re not going to deal with regular unwanted expandable ads, so place these judiciously. Developers and advertisers have been experimenting more and more with this format. Advertisers love the fifteen-to-thirty second video ads, but their placement must be just as carefully considered as the interstitials, if not more so, since they interrupt game play more significantly. For smaller video ads, the most important part of getting the users to play the video in the first place a quality thumbnail that’s compelling enough for them to take a break from actually playing the game to watch the video. After all, if it’s not a reward ad and they aren’t getting any loot, most users aren’t going to stop playing your game to watch a video. Even a video or GIF banner might be asking too much, since having movement on the screen unrelated to the game play can be distracting and have a negative effect on the overall user experience. These are fully branded games custom-built to promote a product, brand, or company, and the advertising is actually the game itself. While there are generally no dynamic ads in these types of games, the entire game is promoting a single brand and ads are intrinsic and embedded throughout. 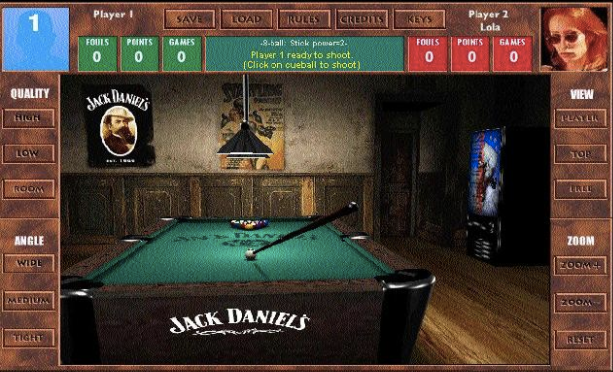 For instance, Lexus has created a racing game and Jack Daniels has created a billiards game; both offer rich gaming experiences that are aligned with the brands but are also fun and interactive in and of themselves. As video games in general and mobile games in particular become more intertwined in our everydays, the concept of advergaming will likely become more mainstream. In addition, if the game itself is authentic and compelling enough, it can allow for the building of a community that an advertiser can consistently remarket to and connect with – which can be well worth the cost of game development itself for a company or brand. Of course, there are some guidelines to following when deploying of your ads regardless of the format, and these guidelines can be distilled down into these essentials. Don’t interrupt the player experience. Don’t kick them out of the game if they click on the ad (when accidentally or on purpose). Making the ads flow as smoothly as possible and integrating them into the complete player experience is the most essential aspect of deploying advertising in your game. 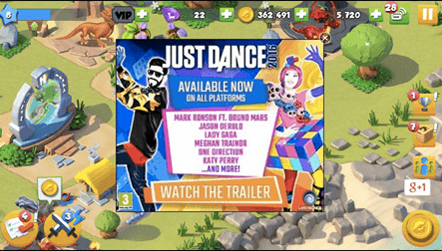 For instance, interstitials appearing at natural breaks in the game, expandable ads not kicking the users out of the game, and using video and static ads wisely are all important in regard to making sure your users have the best possible experience while you can still deliver the ads that make everything happen. Breaks between levels, breaks after a “big boss” or other opponents are defeated, races are won or lost, and similar situations are the perfect time to serve an ad. Users will naturally be ready for a pause in the action, and probably okay with the break time it takes to serve an ad. This is also a good time to serve an ad that offers as a reward, because not only is there a natural pause, your players might have a reason to want to stock up or upgrade before taking on the next level or challenge. It should almost go without saying that your ads should never kick a player out of your game unless they actively decide to leave. 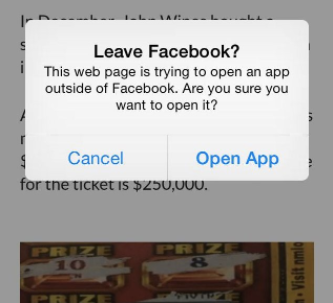 In fact, there should be an active warning before they exit the game in case they do engage with an ad. Getting ad engagement and interactions is one thing, but having users leave your game unnecessarily and when they didn’t want to is never a positive thing. Simple, to the point, and alerts the user to the fact that they are exiting the game. Facebook is not a game of course (unless you count the many games that are part and parcel of the Facebook experience), but why not take advantage of all the knowledge and testing that Facebook uses and mimic the experience they use to both warn users they are about to leave and retain their activity on the site? Anyone who’s been even peripherally involved in the advertising industry is familiar with the concept of banner blindness, and it’s especially important for mobile game developers to understand. And it’s a complex equation: when users either consciously or subconsciously ignore information or ads contained in banners, that might affect the engagement rate and effectiveness of the ads, but at the same time you don’t want to take players out of the gameplay experience. Same thing goes for fat finger errors. We all make clicking mistakes whether we’re on mobile or desktop, but those mistakes might be especially annoying for a player when they are deeply involved in a game. Ad blockers are becoming more popular every day, and they may or may not affect your game depending on how it’s set up. While these might block banners and similar deployments, they won’t hide contextual ads or ads served as rewards. After all, one of the main reasons for adblock usage and user motivations is minimizing interruptions in a game or any other important user experience, so keeping the ads in places where the interruption is part of the natural flow of the game or otherwise minimal is key. There’s no one right answer in regard to which type of ads are right for which type of game; rather, it requires some careful thinking, knowledge of best practices and user behavior, and what’s perhaps the most critical – an understanding of game flow and how to best incorporate ads into it. What works amazingly well for one game might bomb for another, and vice versa. Which is why testing various formats, being flexible with how you incorporate your ads (and monitoring your associated analytics for dropoffs), and otherwise fitting them into the flow of gameplay as naturally as possible is the key to success with your mobile ads, regardless of the format.